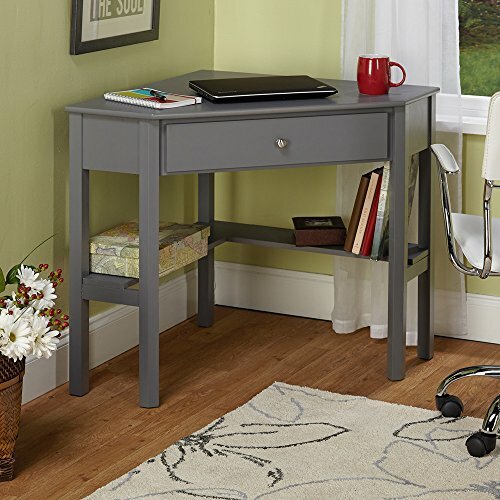 Create useful space in your home or office with this casually styled Ellen corner desk. The simple grey finish and chrome knob have a stylish appearance perfect for keeping your room organized and functional. Showcasing an elegant form with distinct clean lines and minimalist styling, this desk by Simple Living brings contemporary flair and sophistication to your office. Crafted from high-quality MDF and solid wood legs, this desk features a large drawer and lower shelving to hold your office necessities and books at hand. Media Desk & Chair Set - Lavendar .